Some interesting ideas are presented in this video, including organisational strategies and how to teach students to create using a variety of apps on iPads. It will be important to prepare students for either a persuasive or narrative text. Exploring the difference between the two in structure and language use will help to prepare students. By the end of Year 6, they are able to explain how digital systems use whole numbers as a basis for representing a variety of data. Can students explain what system computers use transfer and represent data? Are students able to convert binary numbers? Can students explain what a ‘binary digit’, a ‘bit’, and a ‘nibble’ are? This year I have made a deliberate effort to encourage students to pose more questions, believing that this gives me a better insight into students’ thinking. On Friday, during a Geography lesson, I saw the benefits of this. 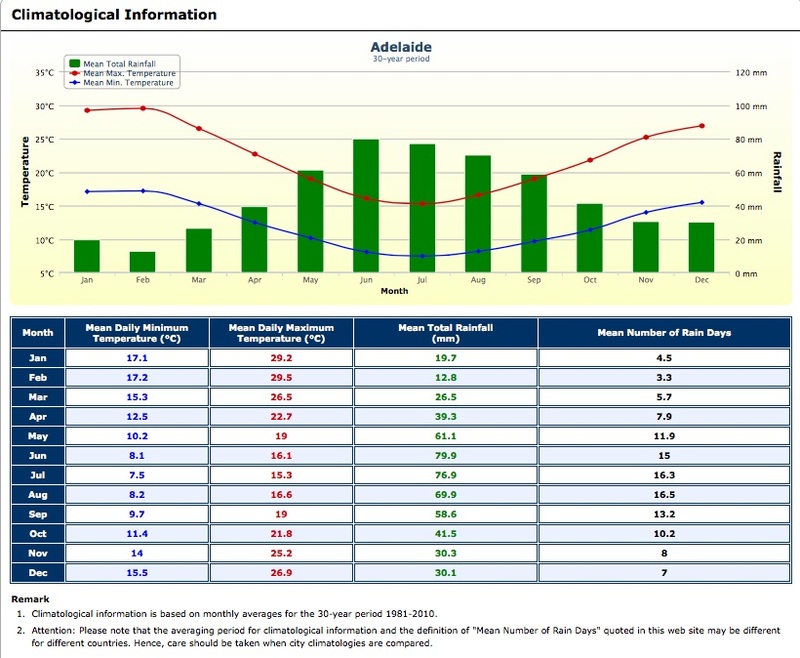 In planning the lesson I had decided to model reading the climate statistics of Adelaide, so that students could then explore the climate statistics of their chosen country. What is the highest average maximum temperature? When does this occur? What is the lowest average maximum temperature? When does this occur? What is the average rainfall for June? What is the area related to the rainfall? How does this affect the data collected? Has there been major differences between the climate each year? After looking at the average temperatures, and knowing that the temperature can be much higher than these in Adelaide, one student thought that the statistics may be different if the last few years’ data was used, rather than the previous 30 years. Why is January the hottest month and has more rainfall than February? – February is usually hotter isn’t it? Why does June have the highest rainfall? I will continue to encourage students to pose and answer their own and others’ questions. What does this show you about their thinking?